Huntwell Hideaway Game Hunting Ranch L.L.C. 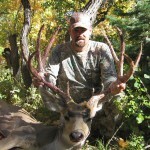 Trophy Elk hunting, Whitetail Deer hunting, Turkey hunting, small game hunting. Northwest Nebraska. Pheasant, quail, chuckar, sharp-tail grouse, coyote, merriam, turkey, waterfowl, whitetail and mule deer in North Central Nebraska. Nebraska Hunts offers pheasant, quail, waterfowl (Canada goose, duck, and snow goose),deer,and merriams turkey hunting. Western nebraska, hunting on 30 thousand acres lots of deer to choose from , carefully managed year to year..
Nebraska Pheasant Hunting. Prairie Sands Hunting is a Nebraska pheasant hunting outfitter and guide service located in the Sandhills of Western Nebraska. Quality Nebraska Hunts at affordable prices. If you are a Nebraska Hunting Guides and would like your service listed here, use our Submission Form. It's Free!